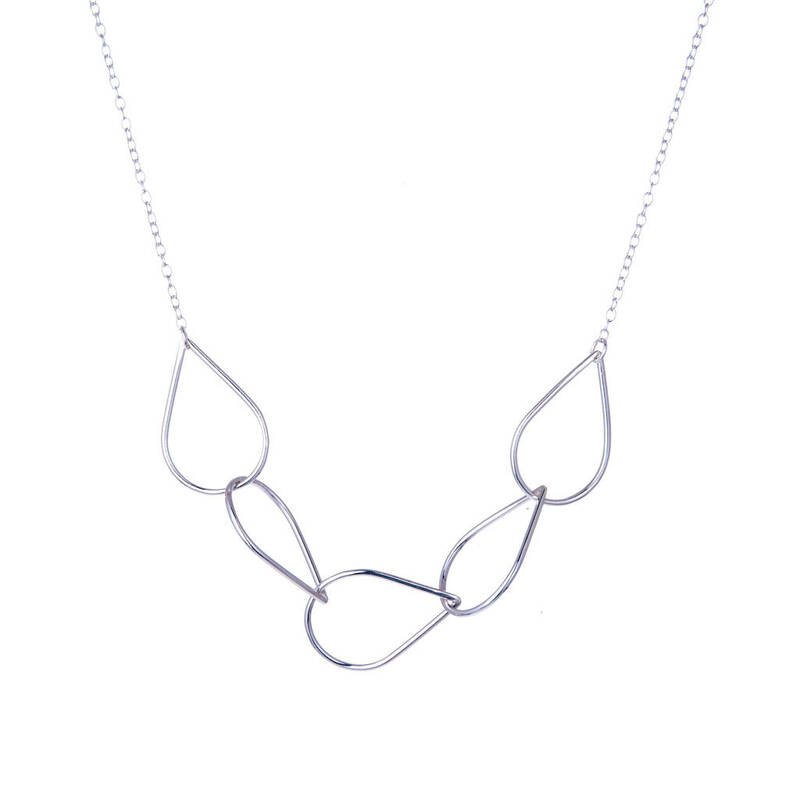 This stunning silver Rain Chain Raindrop Chain Necklace is a delicate statement piece. I make each raindrop link lovingly by hand to create this beautiful necklace. 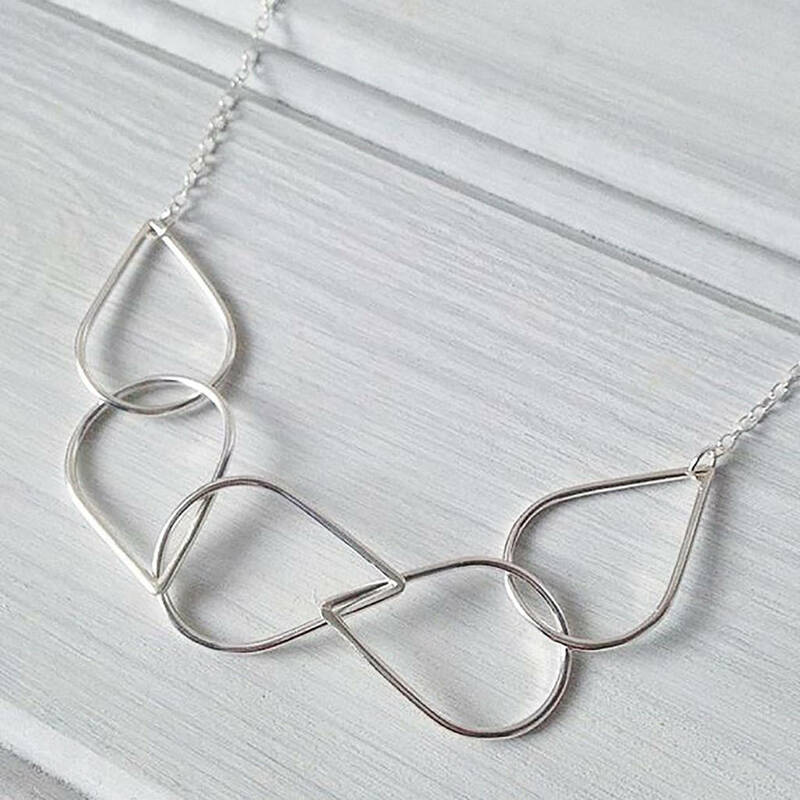 It is light and easy to wear making it perfect for any occasion and it makes a wonderful tinkling noise as the links move, just like raindrops. All of my weather jewellery is inspired by my love of meteorology and fascination with British weather. My jewellery is handmade in my North Yorkshire workshop by the seaside and comes packaged in branded boxes with signature blue and white colour scheme. This would make a unique piece of jewellery to wear on your wedding day, or as a gift for your bridesmaids. It can be made in silver or silver and one 9ct gold link (see images), so you could even match it to your wedding rings. 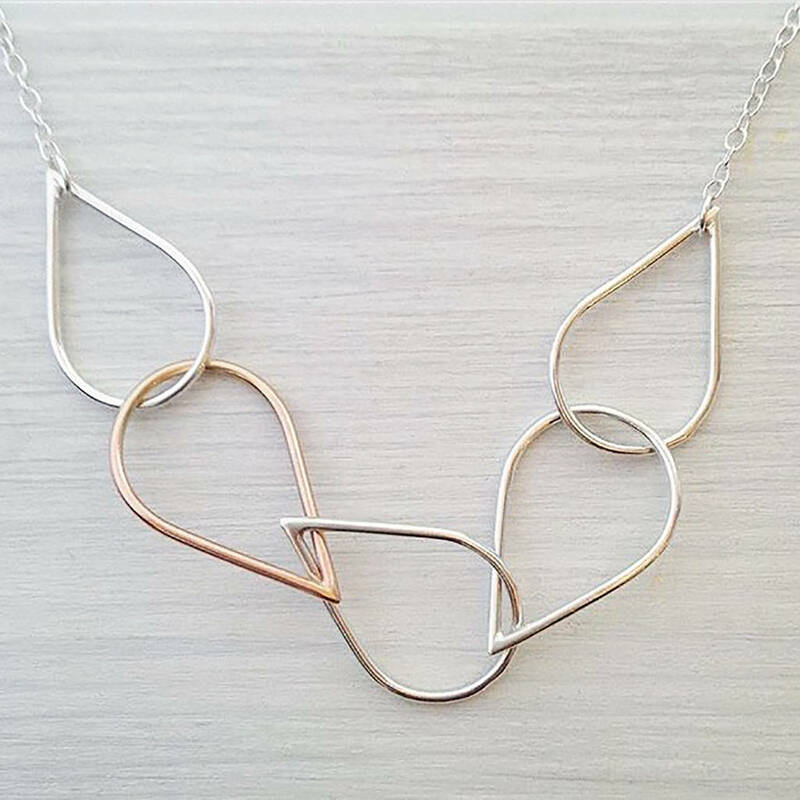 I can also make this piece in any alloy (all 9ct or 18ct gold) so please get in touch if this is an option you would like. 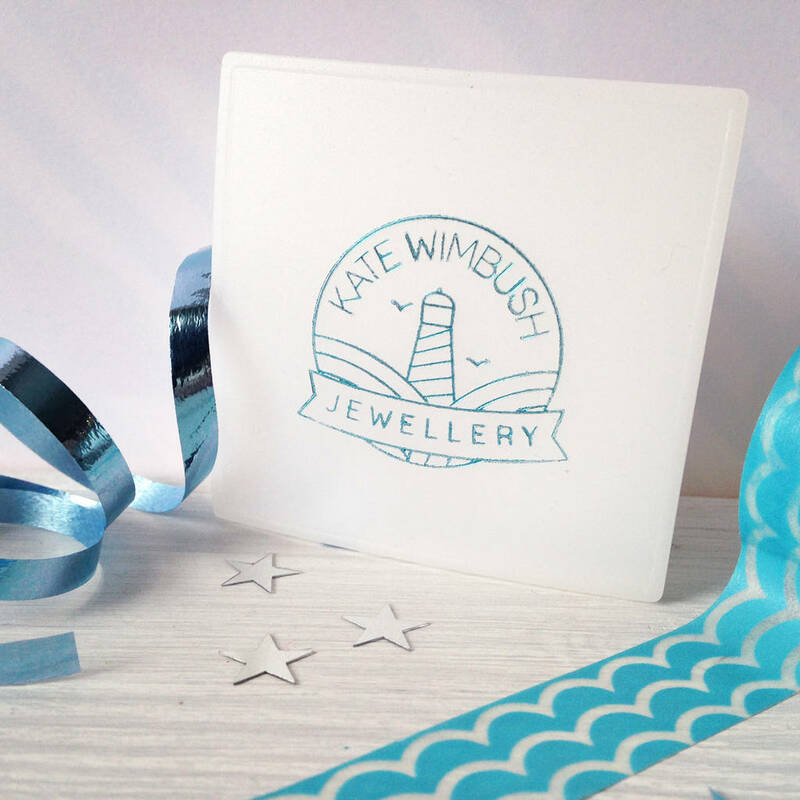 This product is dispatched to you by Kate Wimbush Jewellery.